Webself offers you the perfect tool to create a publish your website for free and without any time limit. If you are satisfied with the free plan, awesome! On the other hand, if you want to benefit from more advantages and features, we have premium plans to bring your website to another level. You’re not quite sure about subscribing to a premium plan? Here are three good reasons why you should! With a free website comes several basic features, but if you want to take it a little further, a premium plan allows you to unlock certain options that might interest you and your business! Online Store: In order to sell online on your ecommerce website, you must have a pro or business plan. Manage your own online store and start making profits on the web! Multilingual website: If you do business abroad, this feature is a must! The multilingual option will automatically duplicate your homepage! the only thing you have to do is to translate your texts and content! Email Collector: This feature is ideal for data collection, to send a newsletter for example! Some features of the contact form: With a pro or business plan, you have more freedom on the contact form, for example, you can edit the name of different fields, or add as many as you wish. More detailed statistics: This feature allows you to learn more about your visitors. You will get more statistics on who visits your website, which will allow you to better adjust to your target audience. Do you want more people to visit your website? 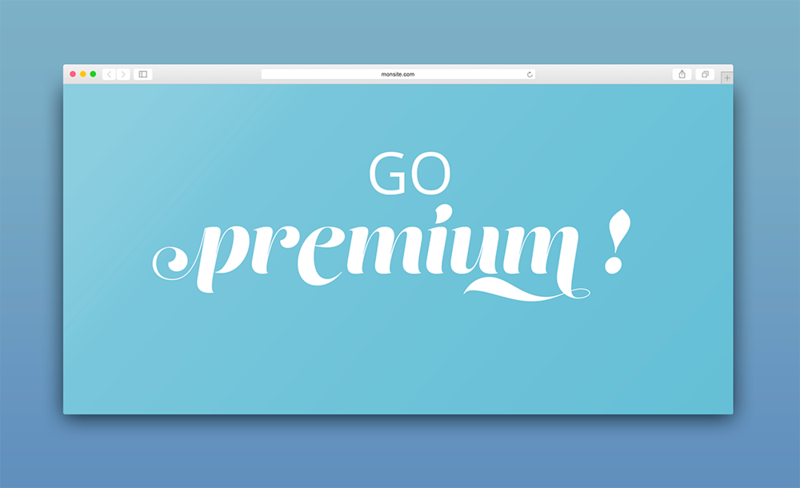 To have a bigger visibility, get a Premium plan! In addition to the many premium features mentioned above, you also benefit from more bandwidth, which will allow more people to visit your website. You are a professional company, then your website should be a direct representation of it! With a PRO or Business plan, a domain name is included, which will establish a certain notoriety with your visitors. If you already own a domain name, it is possible to easily transfer it or connect it to WebSelf Here is a tutorial that explains the steps to follow. Premium plans also offer you the advantage of no longer having WebSelf advertisement on your website. With a free plan, there is a small ad banner at the bottom of your website but it disappears when you subscribe to a Premium plan! Give a professional look to your website today!